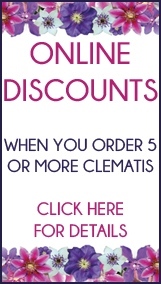 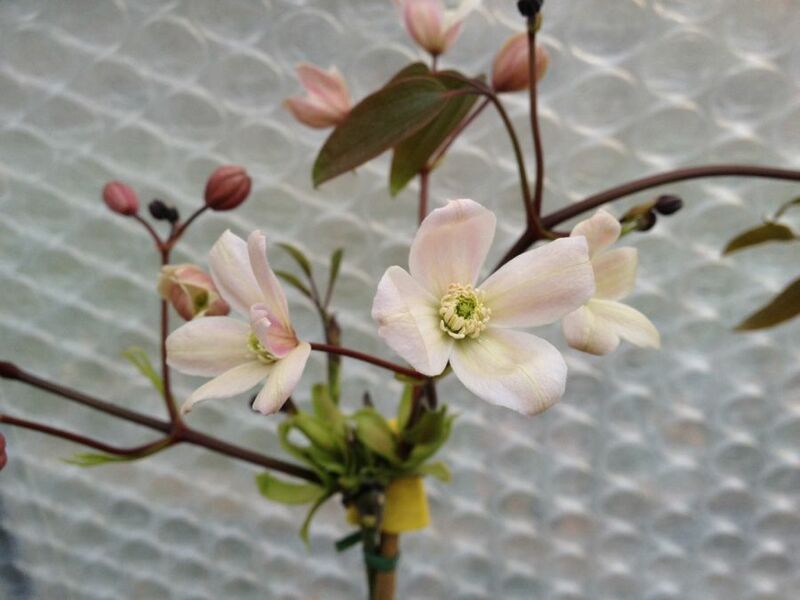 Clematis armandii Apple Blossom is one of the most popular evergreen clematis in existance, the perfume that the Appleblossom gives out is a very stong almond type scent, and you can sometimes smell it before you even see it! 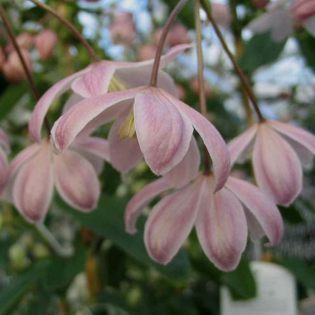 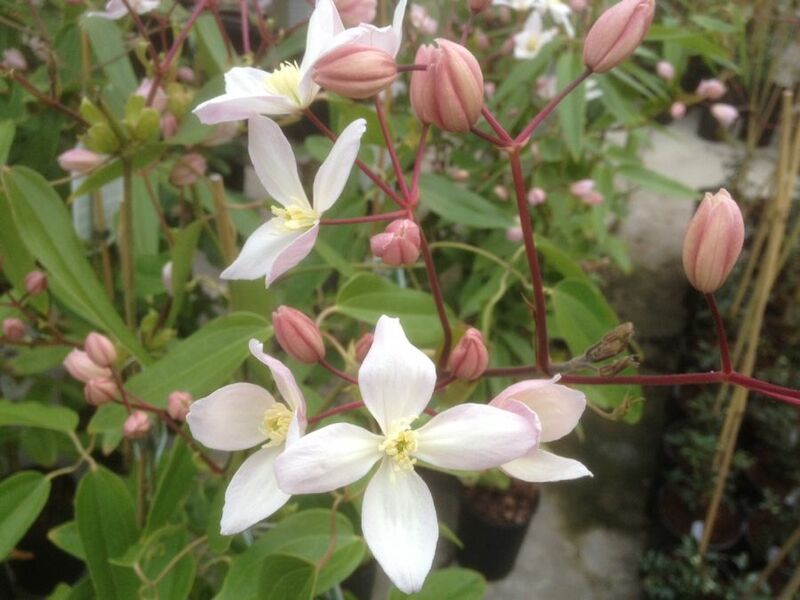 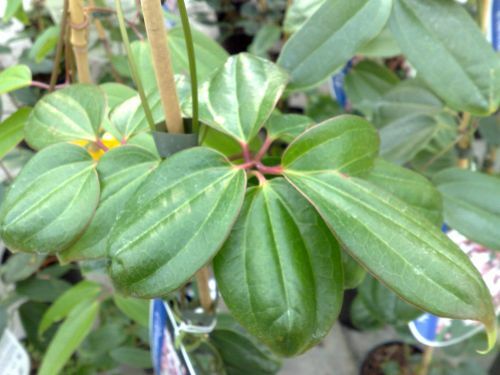 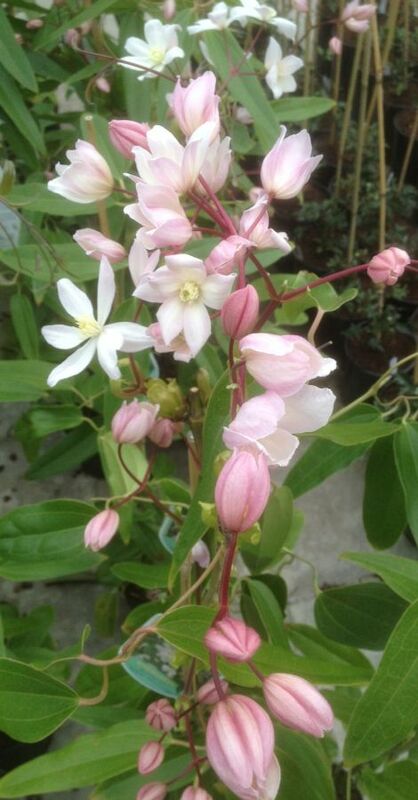 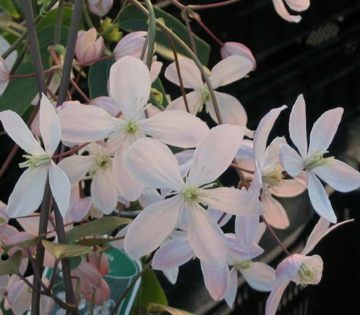 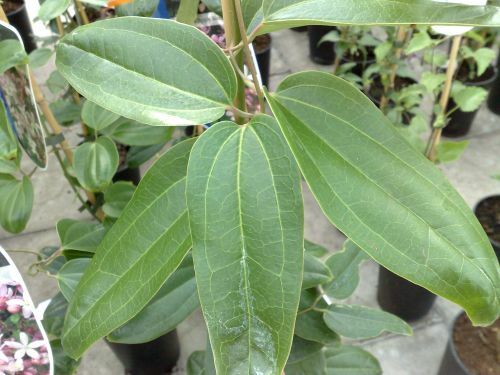 the armandii Apple Blossom has hundreds or Flowers that are around 2" in diameter, these blooms start out a light shade of pink and fade out to white.the foliage is quite similar to the 'laurel leaf' it's thick and waxy looking, the leaves overlap very well and form a great screen. 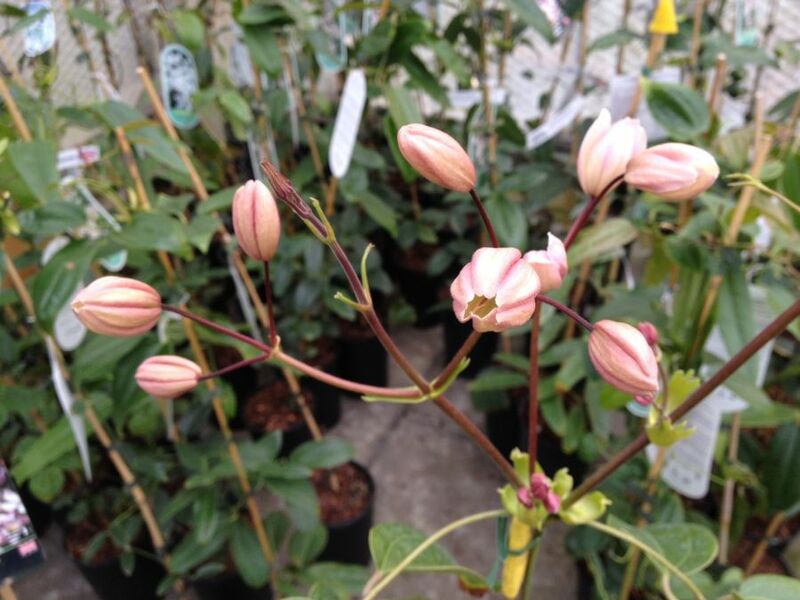 The Apple Blossom can grow to around 20 feet ( somtimes further ) and requires no pruning, it has to be grown in the ground as the roots need to really stretch out under the ground. 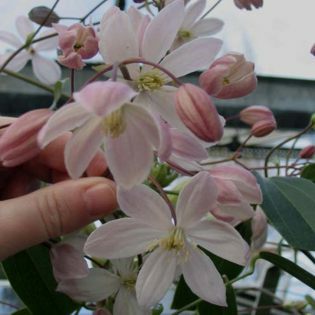 So all in all the armandii Apple Blossom is an excellent choice.